Station to have a 'Torana', 'Chatra' inspired by Buddhist architecture. Another good news for the people who are eagerly waiting for the Metro in Nagpur. The Nagpur Metro, which is just carried out internal testing of new tracks and rolling stock at the Khapri depot in Mihan, will get a palatial and lavish station at the Dr Babasaheb Ambedkar International Airport. 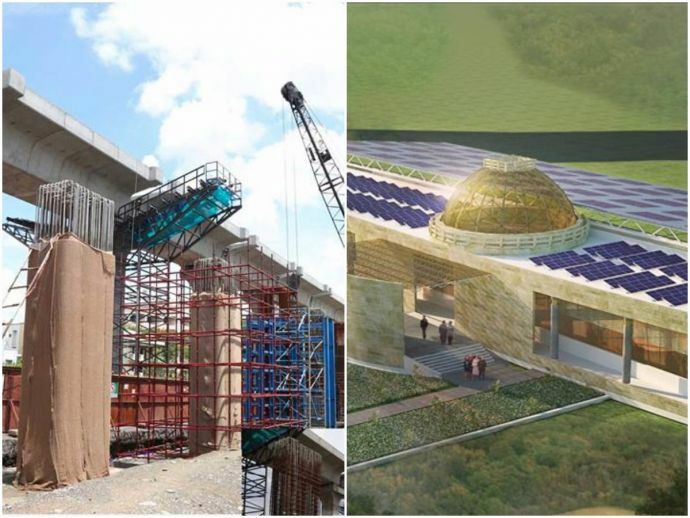 According to the information posted on Nagpur Metro Rail's official Facebook page, the architecture of the station will mimic the elevation of the Sanchi Stupa. Meanwhile, the designing, manufacturing, supplying, testing and commissioning coaches for the project is going to done by Chinese company China Railway Rolling Stock Corporation. The project will take up with the maintenance for 10 years. The cost of these coaches is the lowest in the country.